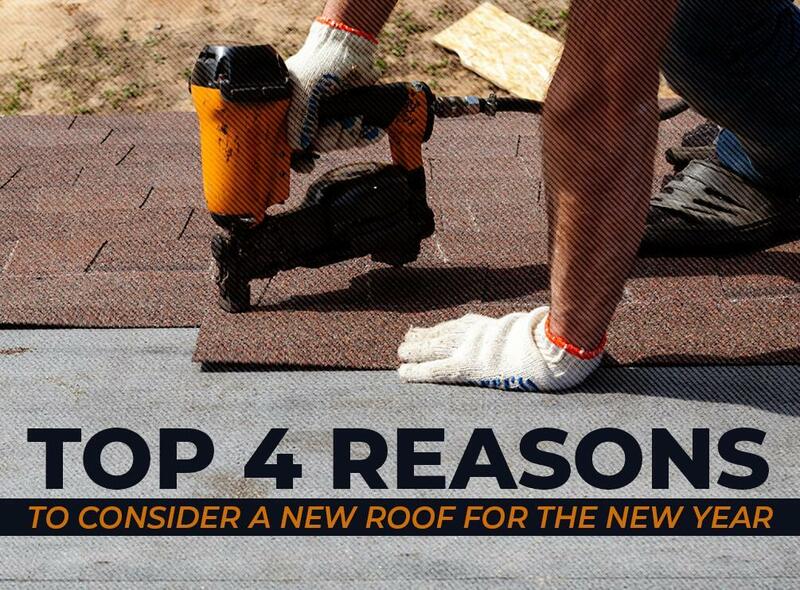 Are you considering getting new roofing for the new year? These are some of the best reasons to make the investment today. Many experts agree that when a roof reaches two decades, it is time to consider replacing it. Older roofs won’t be able to deliver what your home needs, such as proper insulation, ventilation and drainage. If it doesn’t work as well as it used to, the top floor of your home may be vulnerable to leaks, indoor temperatures may fluctuate, and the exterior of your house could look old and worn. You want to make a good first impression, whether you’re entertaining guests or looking for a homebuyer. Roofs and gutters that look like they are about to collapse will turn off potential buyers and make your friends think twice about coming over again. Buyers will be scared off imagining the money they’ll spend for repairs, replacements and maintenance. Consider getting a new roof once the shingles start to fall off or look worn and cracked, and generally if your roof is no longer functioning as it should. Doing so can even improve your home’s value, make it look better and boost your chances of selling it. Granules protect the asphalt from the sun. When the granules begin to fall off, the shingles will bake and their quality will drop. If you start seeing loose granules in the gutter, and your roof is not brand new, the shingles are already halfway through their useful life. In such cases it is time to consult a first-rate roofer such as Innovative Roofing and Siding, Inc. We offer top quality products and impeccable customer service. Missing, broken and cracked shingles are clear signs that it is time to get a new roof. Innovative Roofing and Siding, Inc. provides you with the services you need to address any problem with your roof. If you want to learn more about the products and services we offer, call us at (865) 688-2888. We serve the Knoxville, TN, area and nearby neighborhoods.